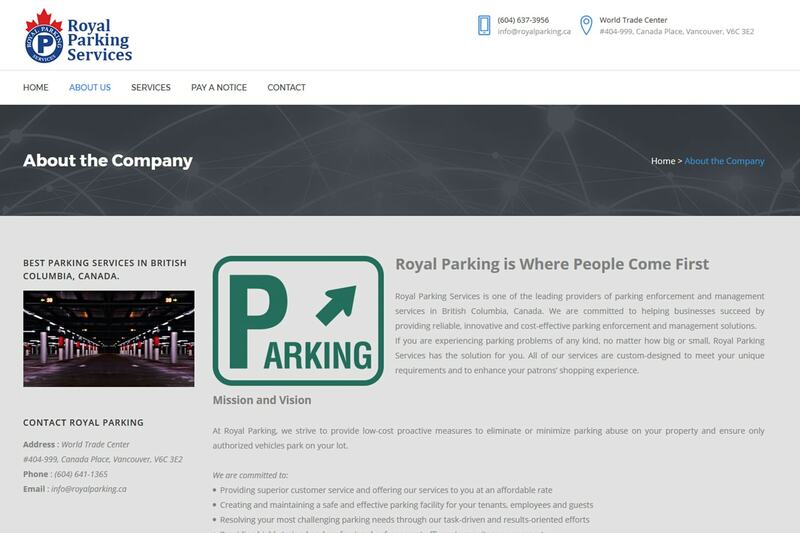 Old Royal Parking website had so many issues. Mails were not delivered properly. Website was not responsive to mobile devices even though most of the visitors of the website are mobile users. Emails regarding payments were not delivered to customer. 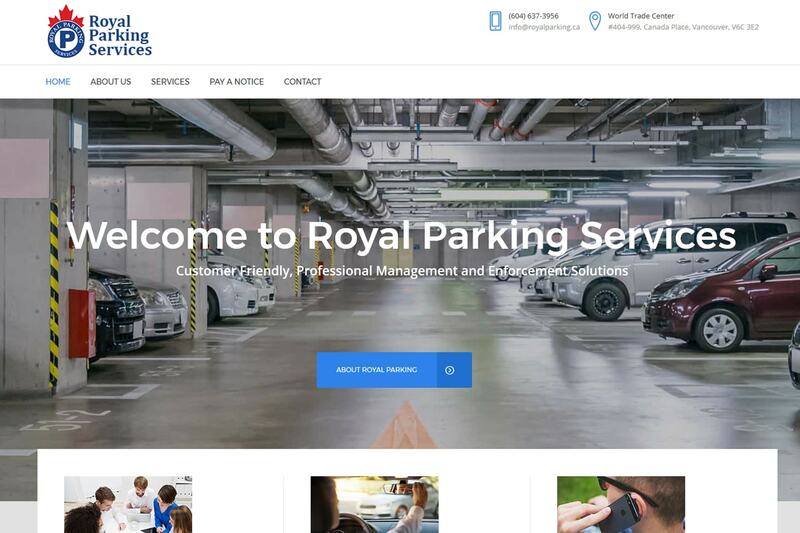 Royal Parking wanted a new website design with all modern features and functions. We used WordPress, Woo Commerce and other couple of WordPress sites to design and develop this website. Images and the content was provided by the site owner including the logo. 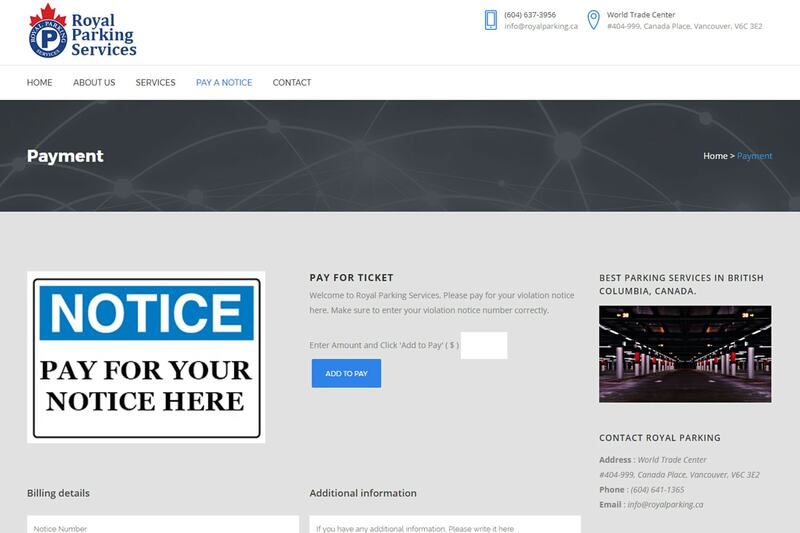 Two payment gateways were used in order to maximize the opportunities for the customers. Finally, the new website were able to find the answers to the questions that the old website had. The speed of the website was optimized so that website will load under six seconds. As the new website is a fully responsive design, it has no issues of rendering out in different mobile devices. 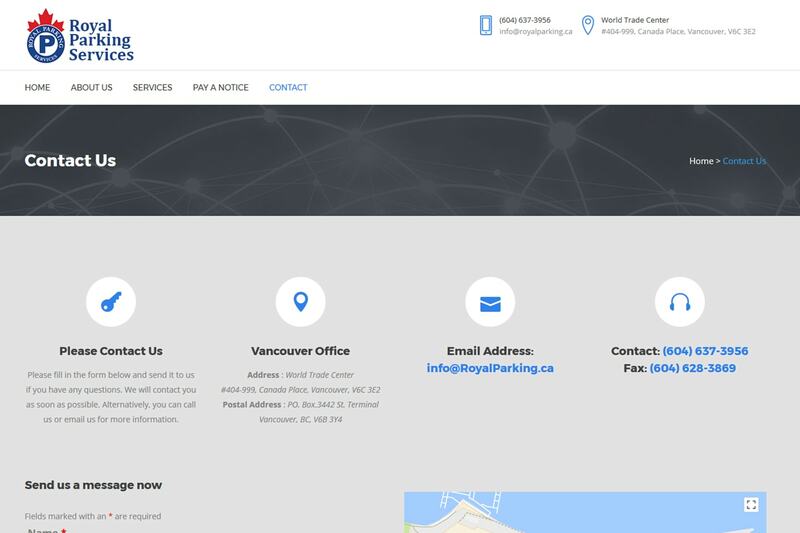 Royal Parking website was created using WordPress, CSS3, XHTML and MySQL as web development technologies. Other than that several WordPress plug-ins were also used to maximize the quality. 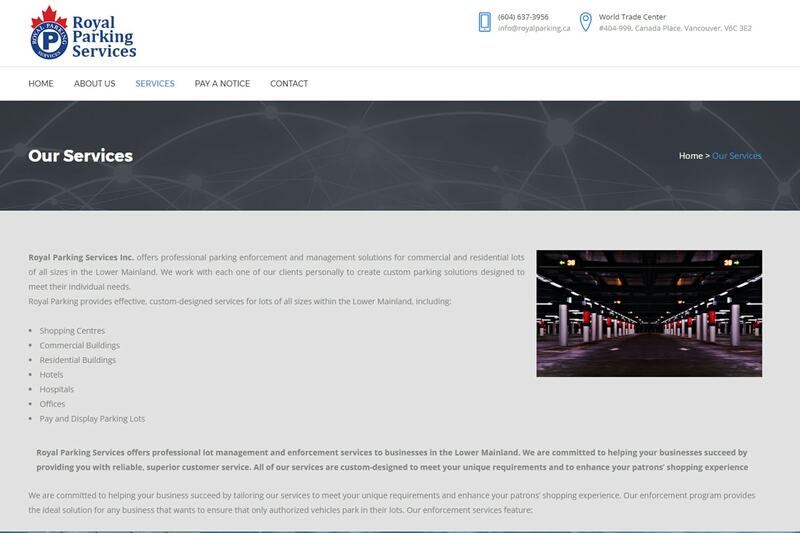 To Develop a Website Like Royal Parking under our eCommerce Website Design package for your business. Contact us today.